Peter, Anna Maria and family arrived at the Port of New York on May 3, 1856, and then made their way to Western, New York. 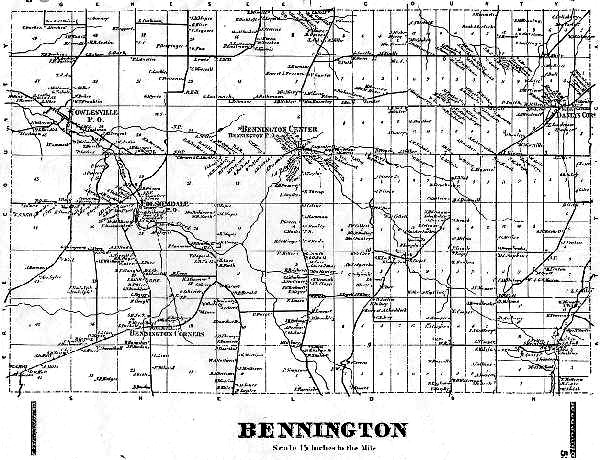 They probably reached Sheldon/Bennington area near the middle of May, and quickly settled into a new life in America. They were certainly helped by family and friends who preceded them, especially their older children. The area was home to a strong and growing immigrant community centered on St. Cecilia's Roman Catholic Church, a community that would welcome the new comers and helped them through the first months after arrival. The Catholic community began in the 1830's as European immigrants settled in Sheldon and surrounding towns. When St. Cecilia's was established as an parish in 1848, well over 150 families, mostly from German speaking lands, belonged to the church. Within this community was a small group of families from the Saar; the home area of the Zehler family. These included the Meyer family from Mettnich, the Glaser family from nearby Eiweiler, the Kehl family from Kostenbach and a second Zehler family from Selbach. This last family were cousins who arrived a few years earlier. Peter got right down to business after arriving in Sheldon; locating a farm on which to settle and getting on with the business of farming. On May 24th, only one or two weeks after arrival, he purchased a 70 acre farm from Cuyler Deitz23. This purchase suggests that the family was moderately well off. Peter probably brought money with him from Germany and it is also possible that the older children provided additional resources. Both John and Peter, Jr. worked as farm laborers24 and likely had significant savings. "Containing seventy acres of land be the same more or less excepting and reserving therefrom a certain piece of land being as part of the above described piece and bounded and described as follows...... Supposed to contain about three acres of land it is called the Mill Lot. He also reserves the right to raise the water as high as the dam will raise it as the dam is at this time." In 1860, Peter Zehler, Jr. purchased the Mill Lot where he operated a saw mill. The Zehler homestead was located in the Town of Bennington, on the west side of Allegany Road (Route 77), about a mile north of the Sheldon Town line and at its intersection with Manley road. At the time, Manley road was a farm road through the Zehler farm and up the hill to the Perry farm. Common usage as a short cut to Bennington resulted in the rerouting of Manley road, despite the strong objections of the Zehler family. Peter appears to have been successful at farming, since in April of 1875, he purchased 65 acres of land from Elisha Lathrop for $1,75023. This purchase constituted the south half of 130 acres of land situated across the Allegany road from the Zehler homestead. Peter Zehler, Jr. purchased the north half at the same time23. Peter and Anna Maria continued to live on the family homestead and farm their land until 1883, when land records show a series of transactions. In June of that year, he sold his 65 acres across the Allegany Road to his son, John, presumably the younger John, for $180023. And then in October, he sold the original 70 acre homestead, exclusive of the Mill Lot, to Mr. Joseph Ziegler, for $3,56723. Finally, a couple weeks later, he purchased 2 parcels in Bennington Center for $1,11923. Peter had retired from farming and would live the remainder of his life in town. 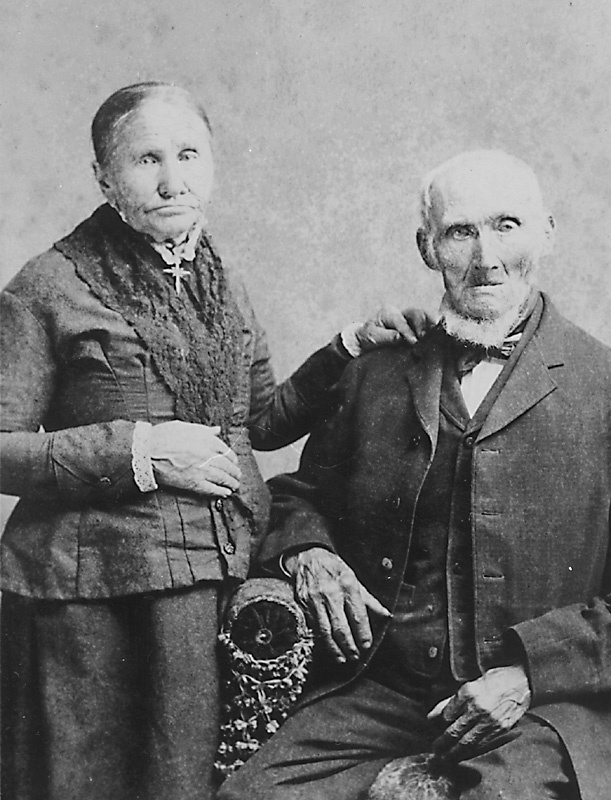 The picture of Peter and Anna Maria, taken about this time, shows an elderly couple, well worn by a hard life who deserved some rest. Peter Zehler died on March 30, 1887, in his 82nd year2. His will essentially left his estate to his 12 living children, the exception being "$5 and only $5" bequeathed to the heirs of Frederick8. Typical of the times, Anna Maria retained the use of ⅓ of his estate for the remainder of her natural life. Peter had lived a long and eventful life. He was buried in the cemetery at Sacred Heart of Jesus Roman Catholic Church in Bennington, on April 2nd, next to his youngest son, Frank, who had died eleven days earlier2. Anna Maria Zehler lived a full ten years after the death of her husband and son. She died on October 17, 1897, at the age of 882. On October 20th she was buried in the Sacred Heart of Jesus cemetery next to her husband2.